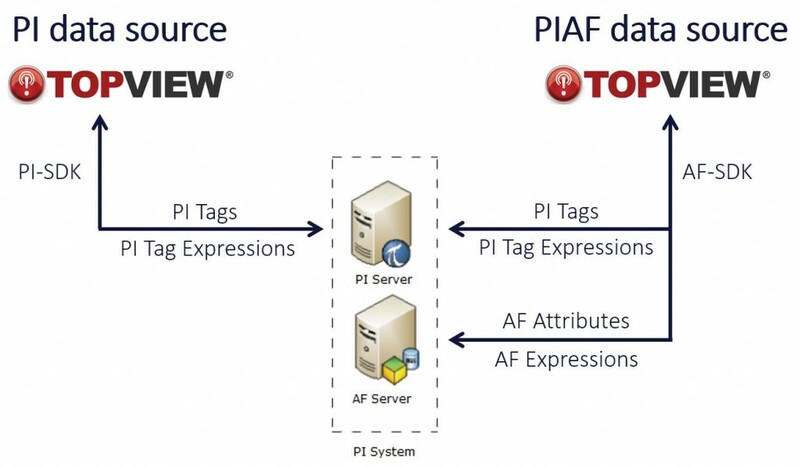 The image to the right gives an overview of the PI and PIAF data sources in TopView. Monitoring of AF Expression results through a new AFEXP operation. Expressions can contain both PI tags and element attributes.